This photograph was taken in 1921 during the height of the Gore's no license (prohibition era, 1902-1954). 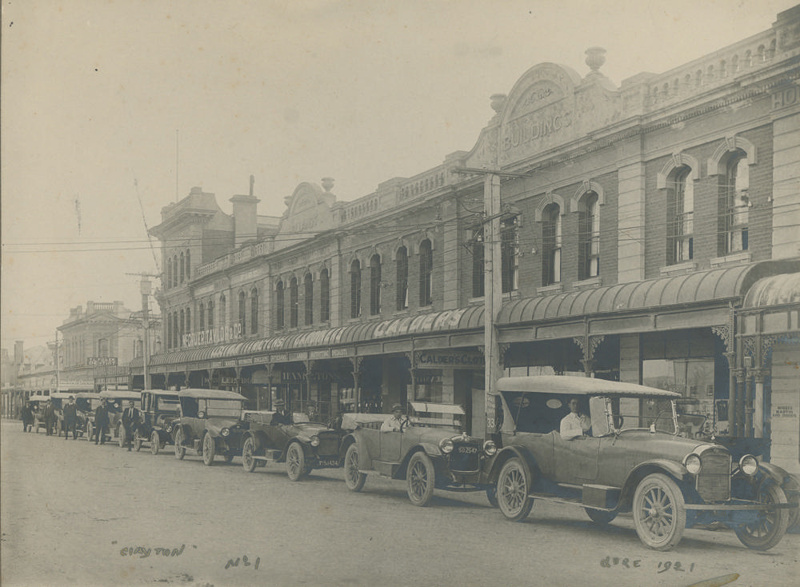 Depicted is a line of taxis, on the Main Street of Gore between Mersey and Irk Streets. 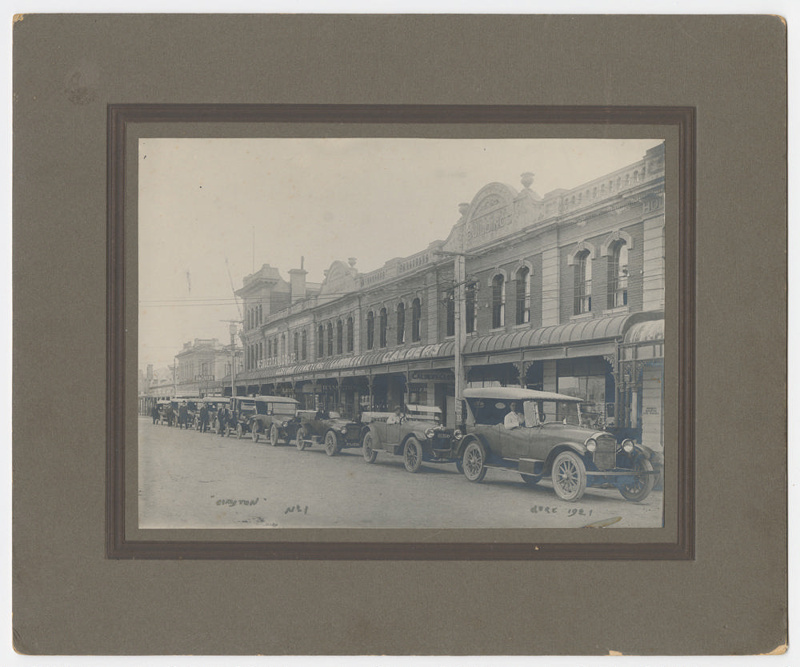 Taxis were frequently utilised to transport local drinkers to neighbouring Mandeville (which fell outside the no license boundary). 'AS WE KEEP ALL PLATES, EXTRA COPIES OF THIS OE ANY OTHER PHOTO TAKEN BY ME CAN BE SUPPLIED. 'THIS PHOTO, OR ANY OTHER PHOTO, AND PICTURE OF ALL SORTS FRAMED NEATLY.